Whatever happened to the Shiverware Rainboard...? That thing looked amazing. ...I work part time to maintain a care home for unwanted Kickstarter gadgets, and we recently took in a small Dualo du-touch. The penny finally dropped when I realised that chords, scales, intervals, could be transferred fully intact anywhere on the layout. Genius. I love it. Only problem now is that I'm gonna have to beg, borrow or steal to get a bigger one. The Rainboard does look cool. I’m very happy with my Linnstrument 128... especially because I’m able to use the same pattern for every scale. resistorman wrote: The Rainboard does look cool. I’m very happy with my Linnstrument 128... especially because I’m able to use the same pattern for every scale. Not having years of ingrained keyboard training to get in the way, I am loving my Roli Rise 25. And now doesn't this Linnstrument look interesting. Cripes - time to start saving up again! While I'm plugging random eBay listings...the mouse also hovered over an Axis 49. (SOS review). Now that is truly beautiful, and almost steampunk to boot! ...discovered a new isomorphic instrument listed on eBay today. Apparently this little beauty is called a Hohner Harmonetta, and employs the same Harmonic Table layout as the Axis 49 above. 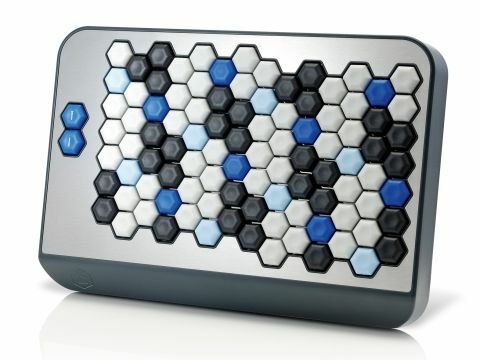 Same layout as a chromatic button accordion? I like to keep this thread updated with the latest topical Isomorphic instruments I never came across before, so here's a Hyve I just noticed on eBay. 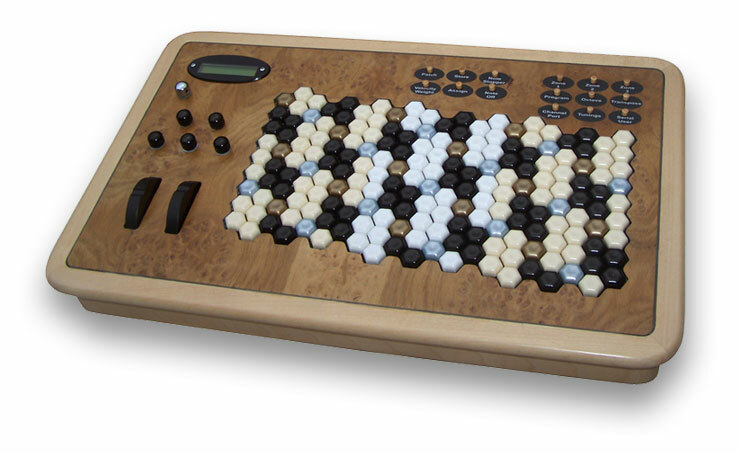 It's a mini capacitive-touch synth originally launched on Kickstarter with a petite but cool hexagonal layout above the keyboard. If you have very small fingers.